United Kingdom with its capital London is located in Europe (Western Europe, islands - including the northern one-sixth of the island of Ireland - between the North Atlantic Ocean and the North Sea; northwest of France). It covers some 243,611 square kilometers (twice the size of Pennsylvania) with a population of 64,769,500. English, Welsh and Scottish Gaelic are the languages spoken by people in United Kingdom (consider regional differences). As an interesting fact, Ireland is the only bordering country. 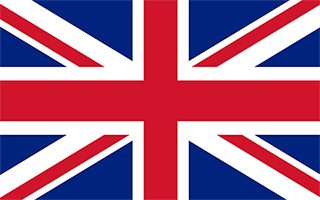 The United Kingdom is a constitutional monarchy comprising most of the British Isles. The Union comprises four constituent nations: England, Scotland, Wales, and Northern Ireland. The Great in Great Britain is to distinguish it from the other, smaller Britain: Brittany (Bretagne) in northwestern France. Don't describe citizens of the United Kingdom as English. The Welsh, Scottish and Northern Irish do not identify themselves as being from England. If you need to refer to someone's nationality, you can use the most precise term, 'English', 'Northern Irish', 'Welsh' or 'Scottish'. The UK has a benign humid-temperate climate moderated by the North Atlantic current and the country's proximity to the sea. Because the UK stretches nearly a thousand kilometres from end to end, temperatures can vary quite considerably between north and south. All of the UK drives on the left. Most cars in the UK are manual (stick-shift) transmission. The high cost of travelling basics such as transport, accommodation and food means that you will spend at least £50 per day as a budget traveller. This figure climbs higher if you want to use taxis, 3 star hotels, and eat in restaurants. London and the South East can be up to three times as expensive as other parts of the country. Despite jokes and stereotypes, British food is actually very good and internationally orientated British cuisine has improved greatly over the past few decades, and the British remain extremely proud of their native dishes. Restaurants and supermarkets in the middle and upper range have consistently high standards, and the choice of international dishes is among the best in Europe. The legal age to buy and consume alcohol is 18 (16 for a glass of beer, cider, shandy, or perry with a substantial meal and an adult present). The local emergency telephone number is 999; however, the EU-wide 112 can also be used. To reach someone United Kingdom dial +44 prior to a number. The local cellular networks are operated on 900 MHz, 1800 MHz, 3G, 4G. Websites typically end with the top level domain ".uk". If you want to bring electric appliances (e.g. battery chaarger), keep in min the local 230 V - 50 Hz (plugs: G). The sign for the locally used currency Pound is GBP. Blue field with the red cross of Saint George (patron saint of England) edged in white superimposed on the diagonal red cross of Saint Patrick (patron saint of Ireland), which is superimposed on the diagonal white cross of Saint Andrew (patron saint of Scotland); properly known as the Union Flag, but commonly called the Union Jack; the design and colors (especially the Blue Ensign) have been the basis for a number of other flags including other Commonwealth countries and their constituent states or provinces, and British overseas territories. The United Kingdom has historically played a leading role in developing parliamentary democracy and in advancing literature and science. At its zenith in the 19th century, the British Empire stretched over one-fourth of the earth's surface. The first half of the 20th century saw the UK's strength seriously depleted in two world wars and the Irish Republic's withdrawal from the union. The second half witnessed the dismantling of the Empire and the UK rebuilding itself into a modern and prosperous European nation. As one of five permanent members of the UN Security Council and a founding member of NATO and the Commonwealth, the UK pursues a global approach to foreign policy. The Scottish Parliament, the National Assembly for Wales, and the Northern Ireland Assembly were established in 1998. The latter was suspended from October 2002 until May 2007 due to wrangling over the peace process. The UK has been an active member of the EU since its accession in 1973, although it chose to remain outside the Economic and Monetary Union. However, motivated in part by frustration at a remote bureaucracy in Brussels and massive migration into the country, UK citizens on 23 June 2016 narrowly voted to leave the EU. The so-called “Brexit” (British exit) will take at least two years to carry out but could help trigger referenda in other EU countries where skepticism of EU membership benefits is strong.